–In a few days our nation will celebrate its birth and with that celebration comes many things: family picnics, out of town visitors, vacations, and, of course, firework displays. And while all of these things are wonderful ways to pay tribute to our independence – each of them are also great contributors to how dogs get lost. Let’s take a look at them so we can better prepare for the events when they happen. These occasions infer that people will be coming to your home and with that means the possibility of someone leaving the front door open or the gate unlocked just long enough for your dog to runaway. People who are unaccustomed to living with your pets are unaware that your dog takes after the cat next door or the squirrel in the backyard. Or, perhaps, they are just not used to paying attention to any pet because they simply do not have one. It is hard to control what your guests do while they are in your home. So, the best thing is to control your pet. This might mean boarding them at a facility while you host your guests, crating them or locking them in a room in your home: keeping them away from an unfortunate opportunity to run away. Even a dog who isn’t a “runner” can wander off when left unattended so it is best to play it safe and know your dog’s whereabouts at all times. Many people across the states will pack up their cars and take road trips and if you are like many of them, you will be bringing your dog along for the ride. Where you head to and stay doesn’t matter- the reality is such that many dogs along for vacation get lost and getting lost away from home is cause for panic. Whether it be staying at a family’s house or at a campground – losing your dog in unfamiliar surroundings is horrific. Harness them. Instead of a just a collar that can easily be pulled off if they get the urge to run, use a harness along with a collar. Of course on that harness and collar make sure you have up to date ID tags and that they list your cell phone number. Your home phone number doesn’t do a bit of good if you are not at home. 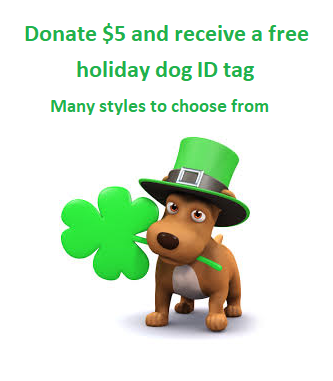 It is also smart to make sure that your dog is wearing its up to date rabies tag. This assures anyone who finds your dog that he is current on vaccines. It is also a good idea to keep current vet records in your car. Microchip them. 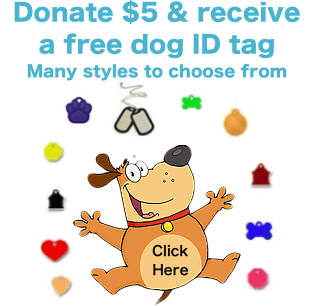 A physical ID tag is number one – but a microchip can save your dog’s life. Your local vet can do this or there are many microchip clinics offered through rescues and shelters and pet product stores. If you already have a microchip, it never hurts to have a vet or shelter scan your dog to make sure they can find it and that it is registered for the right dog and to YOU. I don’t think there is anything else in the world of dogs that has as profound affect on them like fireworks. Rarely, have I seen a dog who doesn’t tremble at the first sound of a bottle rocket or the bang of a small firecracker. Fireworks are terrifying to dogs. And there is little to nothing anyone can do to console them. And when dogs react to fireworks, their first reaction is to run and they will run anywhere. Dogs afraid of fireworks are not planning an escape – they are purely reacting to something. And that means their reaction is bound to be quick and random. No matter how trained a dog is – all dogs should be inside for fireworks and it is even better to have them kept safe in a secure room of the house where no one can accidentally let them out. A place where they can hide under a bed or couch and away from the noise is ideal. Turning on the TV, radio, fan and/or air conditioning can help quiet the blasts of the fireworks. A lost dog amongst a night of fireworks is like a ball in a pinball machine. It will bounce from one place to another without rhyme or reason. This can mean your dog will be running into busy streets, unsafe areas and possibly running for miles – getting more and more lost with each knee jerk reaction to the loud booms. We would all like to believe that our dog is like Lassie or Benji or the crew from Homeward Bound. That regardless of where their four legs take them – they will eventually make their journey home. But the truth is – this is not the case. It is up to us as their family to keep them safe and out of harm’s way. We, as humans, must protect them and think smarter and plan ahead for what events and situations might be coming our way. It only takes the first firework or the one guest to open the door to lose our dogs forever. Make sure that doesn’t happen this 4th of July. 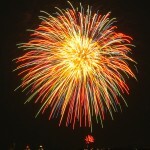 This entry was posted in Fireworks, July 4th (Fourth of July) and tagged 4th of July, family picnics, Fireworks, Fourth of July, lost dogs, vacation on June 27, 2012 by Susan.